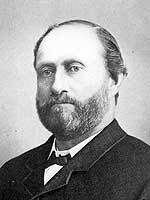 Born at Valcartier, Quebec in 1831, he took up contracting and helped in the construction of the Quebec & Gossburg Railway. He married Hannah Ross in Quebec, and had six children, including William McBain and Ernest G. McBain. He came to Winnipeg in 1871 and, after remaining here one winter, returned to Quebec until 1878 when he returned with his family. He established one of the first brick veneer buildings of Winnipeg at the corner of Rupert and Main Streets and, on Higgins Avenue, the first biscuit factory in the city. He won a contract to make hard-tack for soldiers engaged in the 1885 North West Rebellion. He served as a Winnipeg City Alderman from 1882 to 1883. He died at Winnipeg on 6 March 1897.